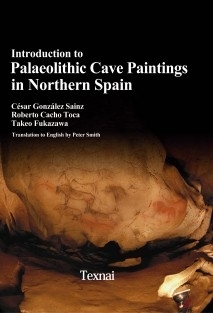 Introduction to Palaeolithic Cave Paintings in Northern Spain B/W Ed. From 1997 to 2004, we executed Photographic VR shooting of Palaeolithic cave paintings in 23 major caves and about 150 Mobile Arts in 5 museums in Northern Spain as a co-project between the University of Cantabria, Spain and Texnai, Inc., Japan and the result was published in Spanish and English in 2003 by GOBIERNO de CANTABRIA as "ARTE PALEOLITICO EN LA REGION CANTABRICA, PALAEOLITHIC ARTS IN NORTHERN SPAIN" with a DVD ROM of the image database. This book is published based on these book and database in POD(Publishing On Demand) format. For this publishing, the images of cave paintings and mobile arts are scheduled to be published as the catalog editions in POD so that readers are able to see those images without PC. On August 23, 1993 a joint Japan-Syria excavation team uncovered a set of almost complete fossilized Palaeolithic human skeleton at the Dederiyeh Cavethat is located some 400 km north of Damascus. The skeleton was that of a Neanderthal child who lived in the Middle Palaeolithic era (ca. 200,000 to 40,000 years ago). One year later, thanks to an invitation by Prof. Takeru Akazawa of the University of Tokyo, the team leader of the joint excavation team, I got an opportunity to visit the Dederiyeh Cave as a photographer and learnt that Neanderthals and anatomically modern humans were living in the same area, the Dead Sea Rift Valley in those days. Since that time, the relationship of those two kinds of human and the replacement of Neanderthals by Modern Human that was progressively happened in the world later have been one of my major concerns. For the replacement of Neanderthals by Modern Human, Prof.Akazawa and his colleagues launched a new research project in 2011 based on the theory of evolutionary models of learning. And on June 15, 2012, an extremely interesting report on the cave paintings of Northern Spain was published inScience. The report was written by Prof. Alistair Pike of University of Bristol, UK and his colleagues and it was reported that Uranium-series disequilibrium dating was executed that year for calcite deposits overlying art found in 11 caves in Northern Spain and the results demonstrated that some paintings of El Castillo extended back at least to the Early Aurignacian period, with minimum ages of 40.8 thousand years for a red disk, 37.3 thousand years for a negative hand. It was surprising because if this dating is correct, the red disk becomes about 4.000 years earlier than the paintings of Grotte Chauvet that has been said to be the world's oldest, and not only that, it can not be ruled out that the earliest paintings were created by Neanderthals, which were estimated to present in the Cantabrian regions until at least 42,000 to 36,000 years B.P..
For the Palaeolithic cave paintings in Northern Spain, as I have already written, we had executed a series of photoVR shooting at 23 major caves and built the multimedia database, but the estimated chronology of the paintings was however not older than 35,000 years B.P. and all paintings were believed to be created by anatomically modern humans, Cro-magnons in that area. So we believed that the Palaeolithic Cave Arts including the Mobile Arts were totally indifferent from Neanderthals. However, from June 15, 2012, by the dating research of Prof. Pike's team, this common sense has become no longer 100% true. "We should make more attention to the cave paintings of Northern Spain". This was the main reason why we decided to re-publish this book in POD.